Park View City got its NOC canceled earlier due to its inconvenient approach through Malot Road. The society had been contesting the case against CDA on this very issue until the authority finally approved widening of approach road and the issue was settled. The society, however, never stopped development work, and they have also announced possessions of its initial blocks where construction of some villas has already started. 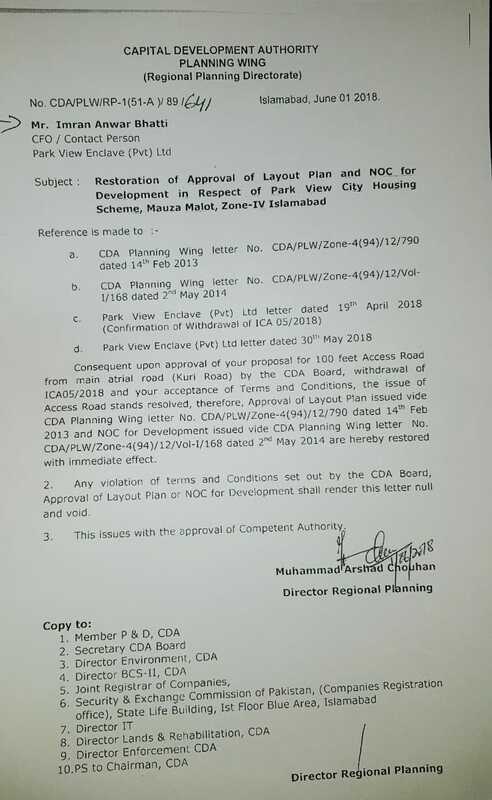 The NOC was issued on 1st June 2018 with immediate effect, which allowed widening of access road to the society from Kurri Road. The access road will be partially 200 ft, and partially 100 ft wide, and this approval has resolved the only issue of inconvenient access to the society. 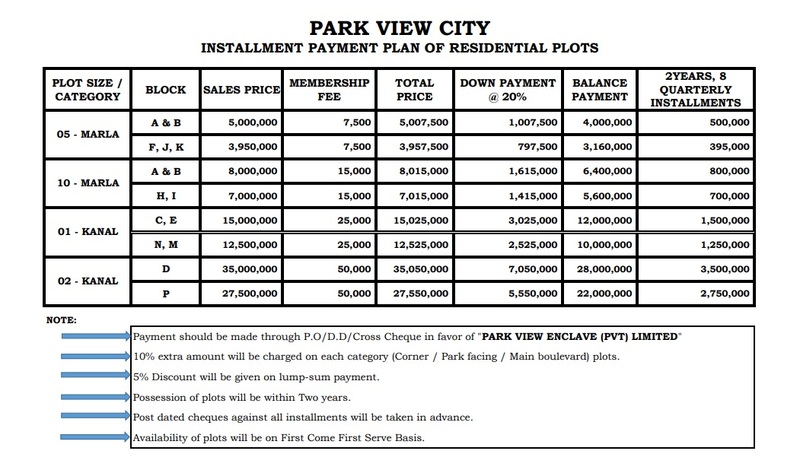 Following the approval, Park View City has revised its plot prices for new bookings in developed and non-developed blocks. A, B, C, D, and E blocks have been priced much higher as compared with previous payment plan, while some new blocks have been introduced which are priced a bit higher than previous rates. The society offers 5 marla, 10 marla, 1 kanal and 2 kanal residential plots on 2 years installment plan. Bookings start from 20% down payment, while balance amount is payable in 8 equal quarterly installments. 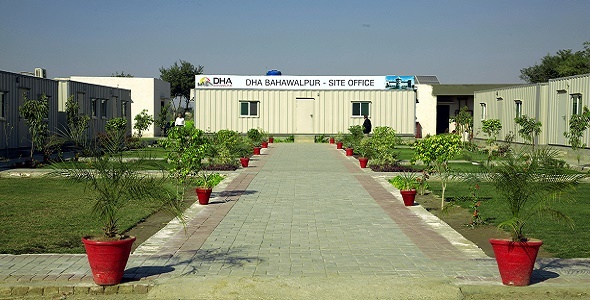 The society also offers 6 marla and 8 marla commercial plots on 2 years installment plan. Six marla plot size is 35×40, and it is priced 3 crore rupees, whereas eight marla plot size is 40×45 and it is priced 4 crore rupees. Bookings start from 20% down payment, while remaining amount is payable in 8 equal quarterly installments. Since development work is already at advanced stage, and actual construction work has begun, it is not going to take long to render good return on this investment. Considering the location and development standards, it is certainly a better alternative to Park Enclave and Bahria Enclave Housing Schemes. New bookings are currently available for limited time only, so it is recommended to avail this exclusive investment opportunity in Islamabad. It is not only recommended for investment, but also it is a beautiful hilly area with peaceful environment which is ideal for living in Islamabad. Contact us for more details and bookings of residential and commercial plots in Park View City Islamabad. You can email us at marketing@manahilestate.com or contact at 0345-5222253 (whatsapp enabled) for more information.